The State Department continued on Tuesday to push back against allegations of impropriety and cover-ups by top officials in D.C. and abroad. The allegations were first brought to light by CBS News' John Miller, who reported that according to an internal State Department Inspector General's memo, several recent investigations were influenced, manipulated, or simply called off. One specific example mentioned in the memo refers to the 2011 investigation into an ambassador who "routinely ditched ... his protective security detail," and inspectors suspect this was in order to "solicit sexual favors from prostitutes." In response to the report, Kennedy said Tuesday: "I have always acted to honor the brave men and women I serve, while also holding accountable anyone guilty of wrongdoing. In my current position, it is my responsibility to make sure the Department and all of our employees-no matter their rank-are held to the highest standard, and I have never once interfered, nor would I condone interfering, in any investigation." CBS News chose not to name the ambassador alleged in the this specific instance, but the New York Post reported Tuesday that it was U.S. Ambassador to Belgium Howard Gutman. In response to the allegation, Gutman said on Tuesday: "I am angered and saddened by the baseless allegations that have appeared in the press and to watch the four years I have proudly served in Belgium smeared is devastating. I live on a beautiful park in Brussels that you walk through to get to many locations and at no point have I ever engaged in any improper activity." White House spokesman Jay Carney said in response to the allegations on Tuesday that President Obama has "zero tolerance for misconduct by any government employee." When asked specifically about Gutman, Carney added the White House "won't pre-judge anyone or anything before all the facts are determined." In addition to the incident above, the memo obtained by CBS News cited eight specific examples of impropriety overall. 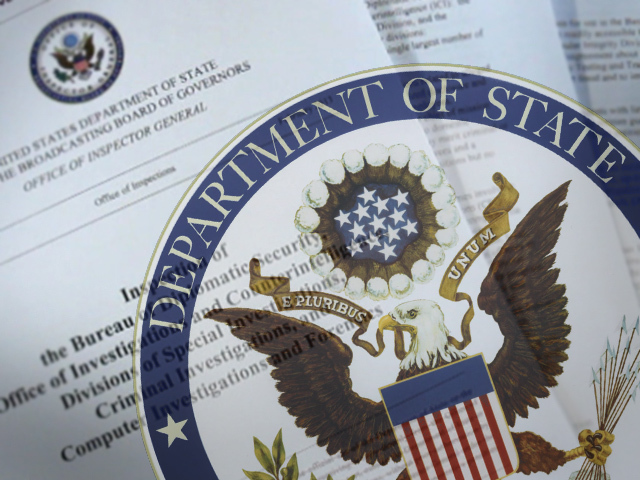 Among them: allegations that a State Department security official in Beirut "engaged in sexual assaults" on foreign nationals hired as embassy guards and the charge and that members of former Secretary of State Hillary Clinton's security detail "engaged prostitutes while on official trips in foreign countries" -- a problem the report says was "endemic." State Department spokeswoman Jen Psaki on Monday and Tuesday told reporters that any such incidents would be "fully investigated." But she disputed the charge that improper behavior within the department is an endemic problem. "I'm not going to speak to specific cases, but it's hardly endemic," Psaki told reporters at a State Department briefing. "Any case we would take seriously and that's certainly what we're doing." On Tuesday, Psaki said: "The notion that we would not vigorously pursue criminal misconduct is not only preposterous, it's inaccurate."